This is a great event because the whole family can run and then enjoy the animals of the zoo afterwards. But leading up to it I strained my calf. I've been trying to stretch it but the sharp pain remains so this morning I'm getting down-graded from the 10k to the 5k. Having this injury has made me think of my good friend, Dale Jackson, who suffered a long stint with calf problems. It's a scary thought. 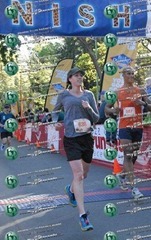 Despite being concerned for the unknown, I still want to get my money's worth at this race and at least attempt the 10k. But Robin reminds me I can help our friend, Charity, doing her first 5k. So now I'm happy to do the 5k and realize it's also the smart way to go with the calf. Charity and I warm up. For a new runner, she runs very well. 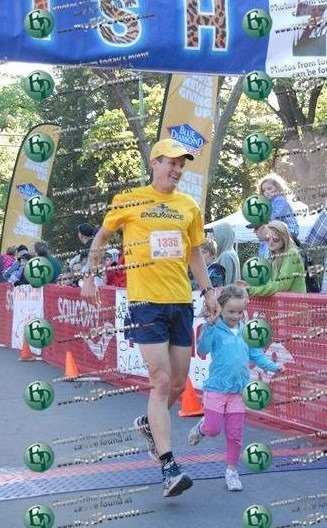 I try to give her good advice for the race and suggest a goal pace of 7:30.. roughly the mile time she got at the track. I also think about how my calf problem came about… it happened after my last race's hamstring problems. Maybe the shorter-stride compensation stressed the calf. I plan to reverse-compensate by trying extend more and land more on my heel. 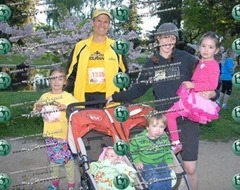 We pray with Robin and the kids and then line up in the crowd near the 7min pacers. We stretch. And then.. Go! We go by our cheering kids (always a boost), being watched by Robin. I'm pushing my heel down and my calf is feeling good! I'm going for 6:50's. Charity is back, hopefully around 7:30 pace. 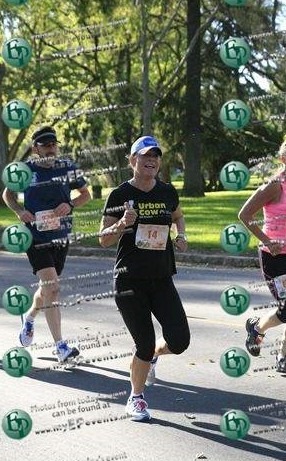 After 1/2 mi I hear a voice near me and it's our friend, Leonie! We run together for a while. My calf is feeling so good I pick it up and go after the 7min pacer. Mile 1: 6:50. Great. I'm trying to balance speed with injury prevention. I'm really focusing on form and efficient forward movement. It's exciting to be going this fast. We run by the band, it's playing a U2 song. Cool. I'm moving up through the ranks of young kids.. jr high and high school. I feel like I can negative split each mile. Mile 2: 6:19. I get water. This race is really fun. Learning that my calf is feeling better by extending the heel more. But I can feel the hamstring problem knocking on the door. It makes sense that extending would be more stressful on the hamstring. It's a balancing game, but it's fun. A young (11yr old?) girl is up ahead and running well. We curve through the neighborhood and now it's a straight shot back to the finish. She's pulling ahead and being cheered on by her team. I can't catch her. I don't know her but am just proud of this little girl's effort. Mile 3: 6:14. I come around the corner, running my fastest pace in weeks (since the injury) and there's Ariel. Even though I have to slow a little, it's so great to run with Ariel and see her trying so hard. 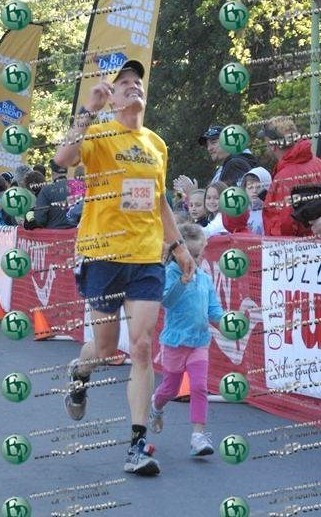 We both finish and I'm glad to have my little girl with me at what turned out to be a great race. Thanks, Lord! Charity and Leonie both finished near each other and with good times.